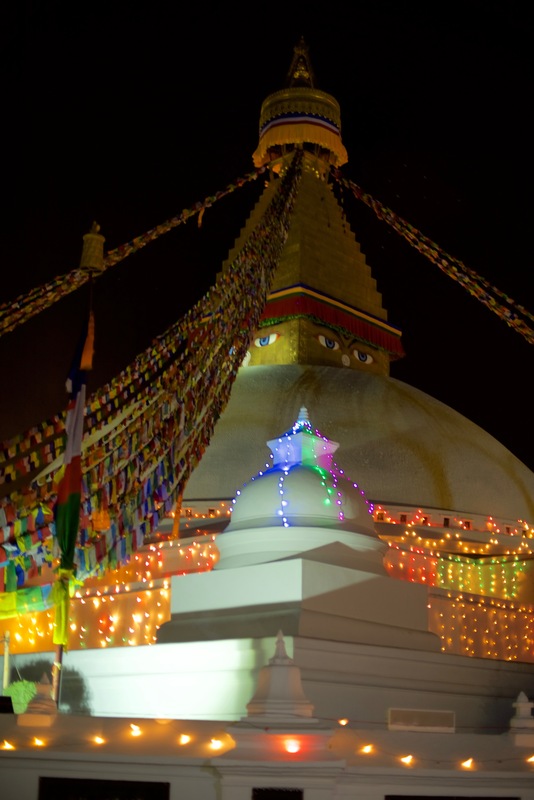 I spent my Christmas in Boudhanath, Kathmandu. 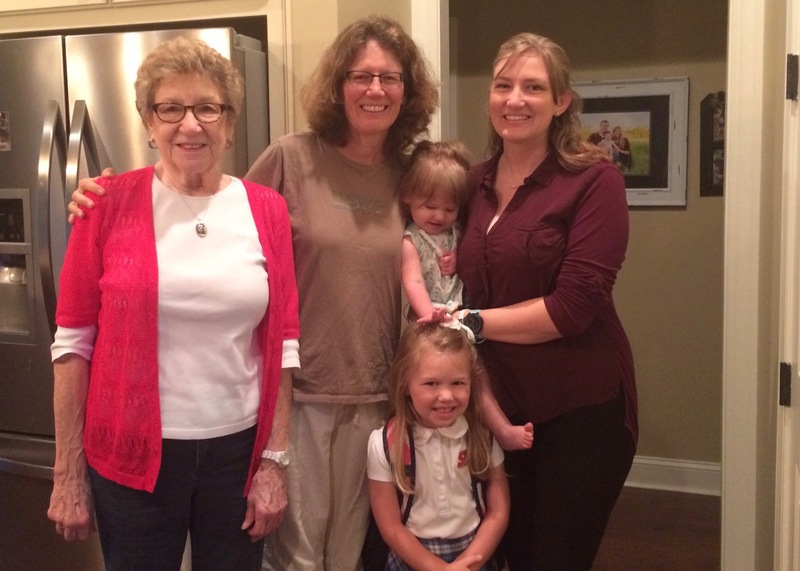 Joni is back in the USA spending time with her mom and sister Kay over the Holidays. I wanted to get out of the Monastery and experience some different sights and sounds of Nepal. 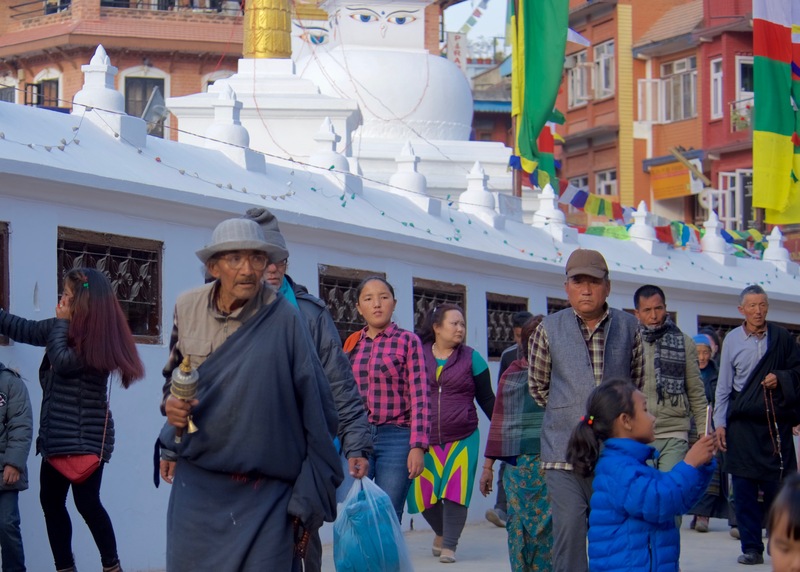 Boudhanath is full of interesting people, activities, sounds and smells. I appreciate it’s significance as place of pilgrimage and spiritual renewal. I feel at home there and a sense of peace, despite the intensity of the activity. Looking down on the people doing chora around the Stupa. The traffic is light in this moment. 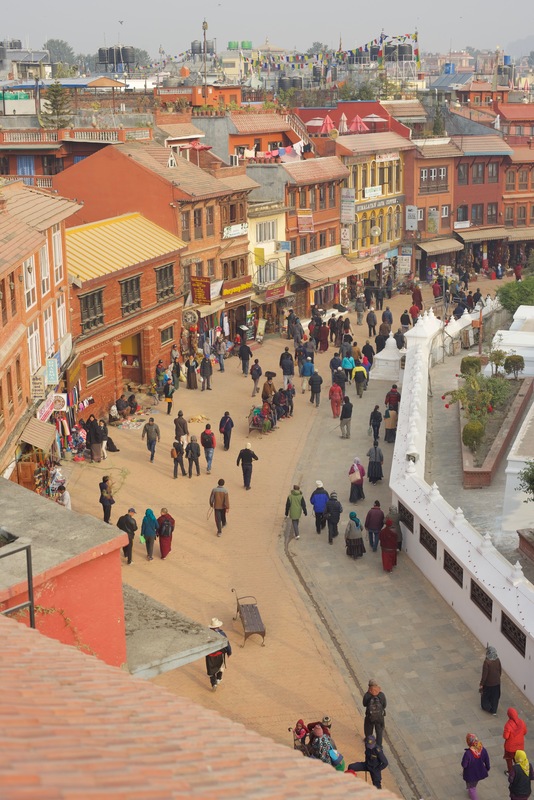 Tibetan merchants have rested and offered prayers in Boudha (short for Boudhanath) for many centuries. 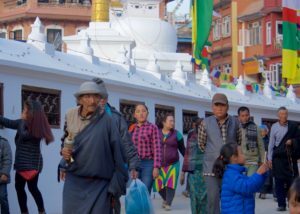 When refugees entered Nepal from Tibet in the 1950s, many decided to live around Boudhanath so there are many Tibetans in the neighborhood. The Stupa is said to entomb the remains of the Kassapa Buddha. I stayed in a hotel about 10 minutes from the Stupa. The hotel was bare bones with no heat just like 90% of all the homes and hotels here but it had a hot shower that works on demand (rather than by chance) and a rooftop deck with lots of daytime sun. 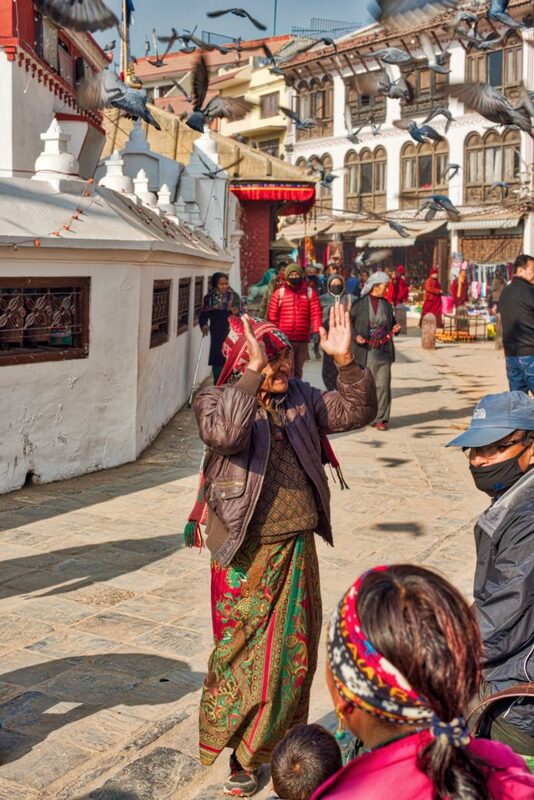 If you come to Kathmandu in the winter, be sure and bring plenty of layers of warm clothes. The sun provides plenty of warmth in the daytime but you have to be on your toes and layer up so you don’t get chilled as the temperature drops. My bed in my hotel had extra blankets so in the short periods when I was in the room, I settled in under the covers. During my 4 days in Boudha, I took a few hours each day to do Chora; circumambulating the Stupa and reciting prayers. 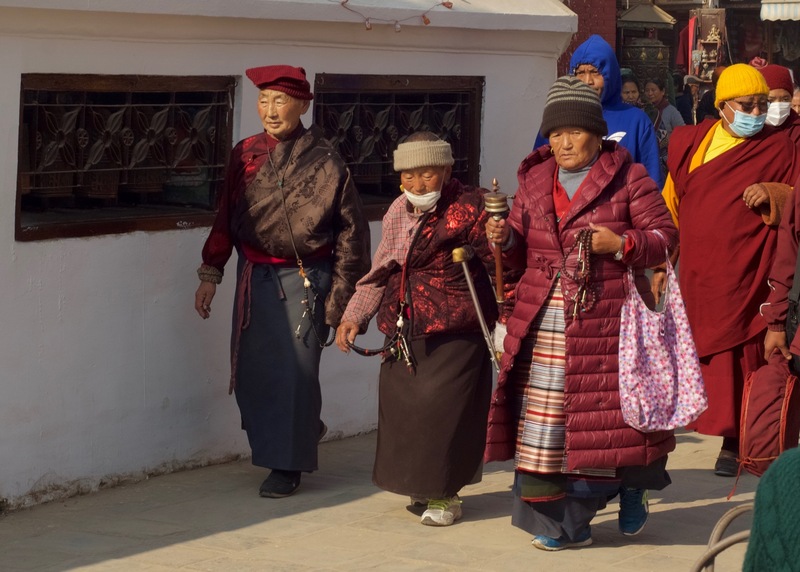 Accompanying me round the Stupa were hundreds of fellow Buddhists; walking at various speeds. Some make it round with the aide of a relative, crutches or wheelchairs. Some wear running suits. For some, it appears to be their daily spiritual and physical workout. I saw many familiar faces as I returned at the same time each day. 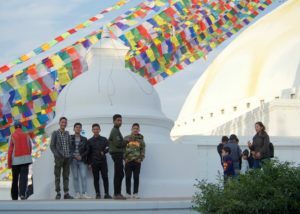 The flow of humanity around the Stupa reflects the diversity of the ethnic groups of Kathmandu and their temperaments. Circling is not for the fainthearted, requiring careful negotiation to accommodate the variable pace of young and old, disabled, toddlers, and the like. Not only is it a place of worship, confession and offering but it is a place for socializing. Teenagers come with their smart phones and selfie sticks to join the throng, stopping in the middle of the flow, with little deference to the significance of the place. The elderly also take time socialize from time to time but do so as they walk or when they retreat to the sideline benches, looking into the stream. Early in the morning, another ring of people stand sentry just outside the flow. They are the blind, disabled, poor and elderly. Standing outside the moving ring, they plead for money and food. Aid groups appear at times to distribute food in an organized fashion while people going round also randomly stop and offer money. While I don’t understand the organization and timing of it all, there are friendly security people who patrol the grounds with sticks and whistles and periodically nudge the beggars from their locations. In this way, the begging is embraced, but regulated in a fashion. Further outside the ring of devotion are shops selling religious object; thankas, and other paintings, prayer beads, statues, bells and the like. There are also many restaurants, hotels, and coffee shops. These layers of commerce, social welfare, gawking tourists and religious practice seem to fold naturally with one another. All move in the same clockwise fashion. After a time, moving with the throng, I settled into the flow and got a feeling of camaraderie with my fellow travelers. 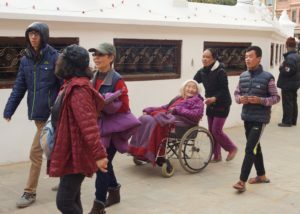 It was a little like being in street traffic here in Kathmandu, speeding up, slowing down, dodging and dancing with the variable speed of my fellow dancers. The practicalities of moving with so many people is a metaphor for our interactions in daily life, coping with interruptions, unexpected turns, diverse personalities and temperaments. The “flow” isn’t always tranquil though over time enjoyed the rhythm of it. Transcending all the activity, chaos and the push of it all, is the recognition that we are all here for the same purpose; to wish for the happiness and enlightenment of all sentient beings. There’s no other highway like it anywhere in the world. 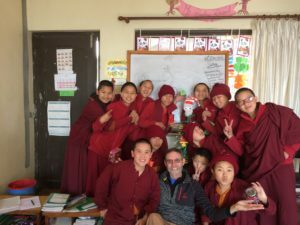 I wrote the story at the bottom of this post for the “Christmas” celebration here at Tsoknyi Gechak School. The staff and students love celebrations; a chance to do performance, decorate, tell stories and have fun. Home made dolls inspired by our story tellers from Ireland. Dancing puppets under the direction of our storyteller. Class 6 shares their creations and a little present with me. Boundless enthusiasm! I was asked to tell a Christmas story but couldn’t find one that I thought the children could relate to, so I wrote my own and shared it with all the children. It was fortunate that, last week, the school hosted 2 storytellers from Ireland who helped the girls create their own stories. They were very good at empowering us all to express our stories. Christmas is a time of giving. A time when giving and helping others can bring us happiness and other surprises. Once upon a time there was a little girl who lived in a village in the Himalayas. This little girl was very happy and tried to make friends with everyone she met. In the summer she lived with her grandmother who was very poor. In the winter she returned to her parents home. As winter came, she decided she must begin walking to her parents house. It was getting cold and soon there would be a great snow. The problem was that while she had warm clothes, she had no shoes. The walk would be very cold for her feet when the snow fell to the ground. As she walked, she prayed that she would find some shoes or that some kind person would give her some. “What is the matter kind sir? Why don’t you get up and walk?”, asked the little girl. The little girl looked around. At the top of the hill was a great tree with strong branches. 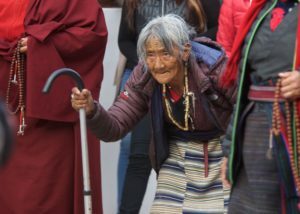 She quickly ran up the hill and returned with a stick, so strong and straight that it gave the man the strength to walk. Together they continued on the road to her parents house. On the second day the girl and the man came upon a woman laying by the side of the road crying, “Someone help me. I have not eaten in weeks and have no strength to continue on my journey”. “That is so sad.” said the little girl. “Everyone needs food to make such a journey. Here is my last bit of bread and cheese to help you regain your strength”. And so she gave the woman her last piece of bread and cheese and rested until the woman was able to walk. Together they continued on the road to her parents house. As they did, the snowstorm came closer and the little girl wondered, “How will I continue to walk if I have no shoes.” Though she was afraid of the coming storm she walked slowly with the man and woman down the road. As Bodhi Santa’s words faded, the girl awoke and found herself alone in the cave. The man and woman were gone. In their place were 2 shoes. These were not ordinary shoes but warm boots made from the hide of a yak. One of the boots had the drawing of a tree; just like the tree from which she made a staff for the man. The other the was adorned with drawings of yaks and wheat, from which came the nourishment of bread and cheese that she gave to the woman. And so it was. The girl left the cave, trekking through the deep snow in her new boots. When she arrived at her home she told her parents about her journey and the dream of the great being. 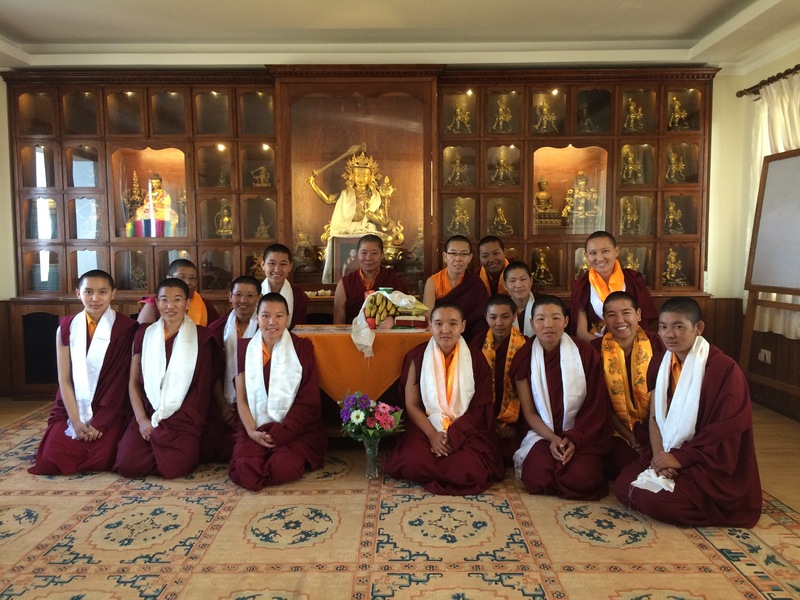 She vowed to remember her meeting with Bodhi Santa and to live her life with compassion for all beings. Learning the names of different fruits with youngest girls. We got to taste them as well. 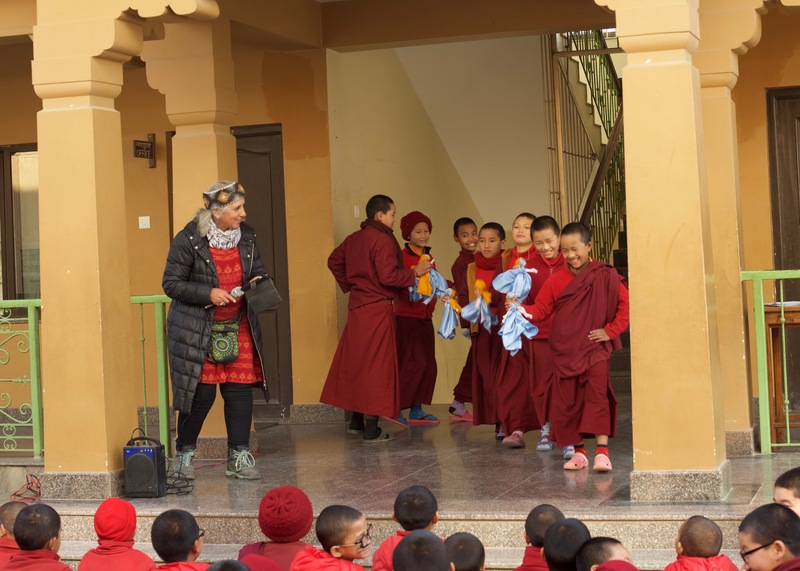 Looking back on what I’ve shared to date, I realize that I haven’t really described our work with the Anis, the girls who live and learn at Tsoknyi Gechak School. This is due, in part, because I have been trying to figure it out and haven’t been able to formulate my thoughts on the subject. Our work seems to change and expand as we get familiar with the people and the structure here. Interestingly, in the last week or so, Joni and I have become more involved in working with the older Anis of the Trasang and Shedra as well. Art competition in the yard of the school. 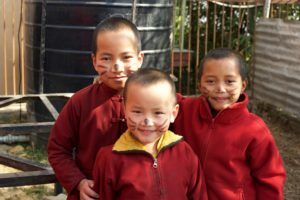 As I have mentioned, most of the children who live in the school have come from the hills and mountains of Nepal (on the northern border). 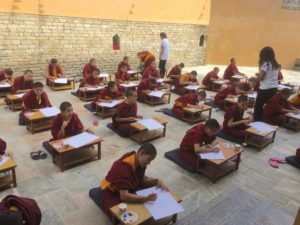 They have come here to get a proper secular education (reading, writing, math, 3 languages, social studies (including moral education or right behavior), and Buddhism. 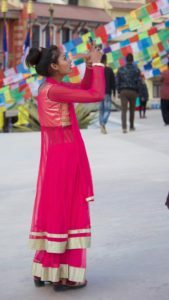 The Trasang group is separate from the school and is made up of young women from India who are focus on the rituals and practices of Tibetan Buddhism and who do much of the daily chores around the Gompa. 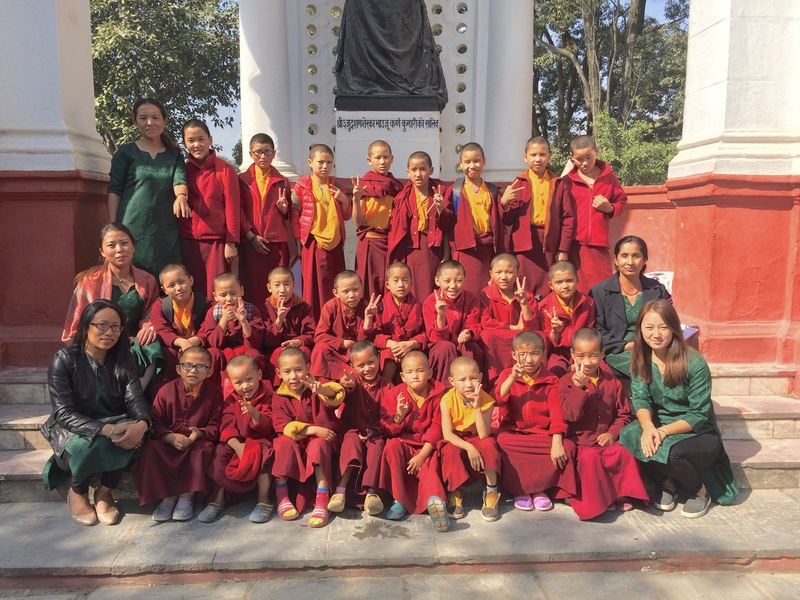 The Shedra is also separate from the school and is made up of young women who devote their time to studying all aspects of Tibetan Buddhism; philosophy, meditation, practice, ritual, language (Sanskrit and Tibetan), and many aspect that I don’t know how to describe. They also have some housekeeping duties around the Gompa. Shedra Nuns finishing a year of Tibetan with their Venerable teacher. Editing Photos with the Trasang Nuns. 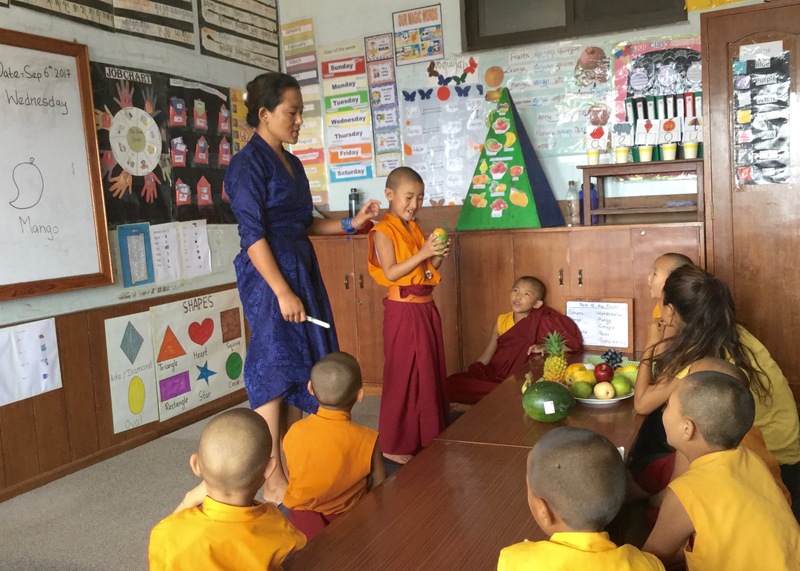 The bulk of our “work” is in the school with the children; class LKG, UKG (lower and upper kindergarten), Class 1, 2, 3, 4, 5, 6, 7 and 7A. Joni works with classes 2, 3, 4, 5, and 7. I work with the rest. 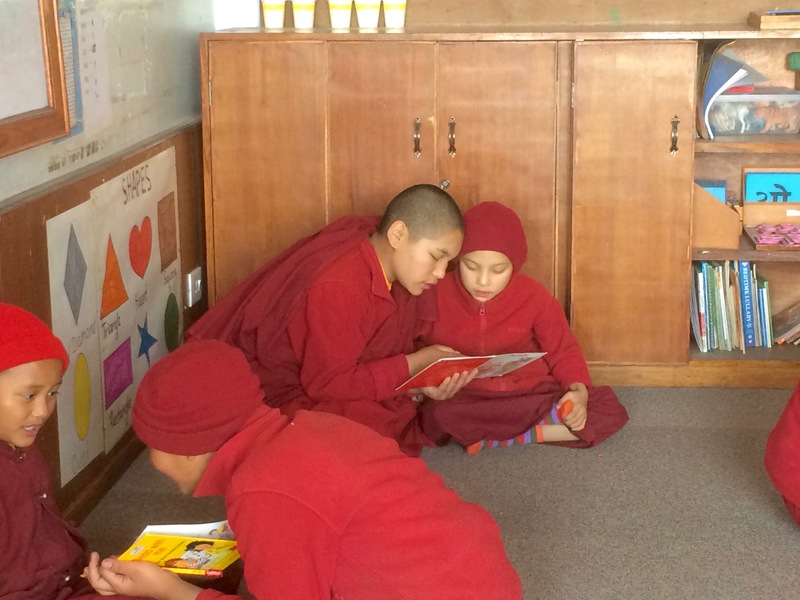 We both focus on English by weaving in the content they are learning in other classes. We’ve also created lessons that emphasize spelling and speaking the most common words in the English language (Fry words), phonics, rhyming and such. Like most jobs, our teaching job has required some time to get a sense of how things run. We are learning how the teachers work, what the goals of the school are and the skill levels of the students. We’re feeling more confident now that we have established a working relationship with the primary English teachers. English is not their native language and unfortunately we DO mis-communicate from time to time. Over time we’ve become a better team, sharing the lead for instruction and working together to switch between speaking English and waiting for translation when necessary. It is my understanding that the recommended way to teach any language is immersion; in the case of English instruction, making students communicate in English only. This is difficult if the teacher is not totally proficient in both languages. 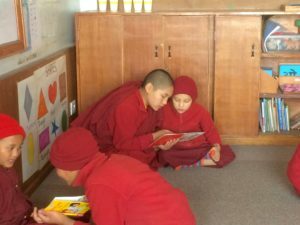 Unfortunately, we aren’t proficient in Nepali or Tibetan and the teachers still lean on their native language over English. Older girls reading to younger thanks to the efforts of Joni. Younger students posed as a group during our field trip to the zoo. All the technical details aside, we have come a long way toward establishing a relationship with the teachers and the students. The result is a level of humor and trust. We are becoming more relaxed and willing to approach one another, despite the occasional barriers of language and custom. 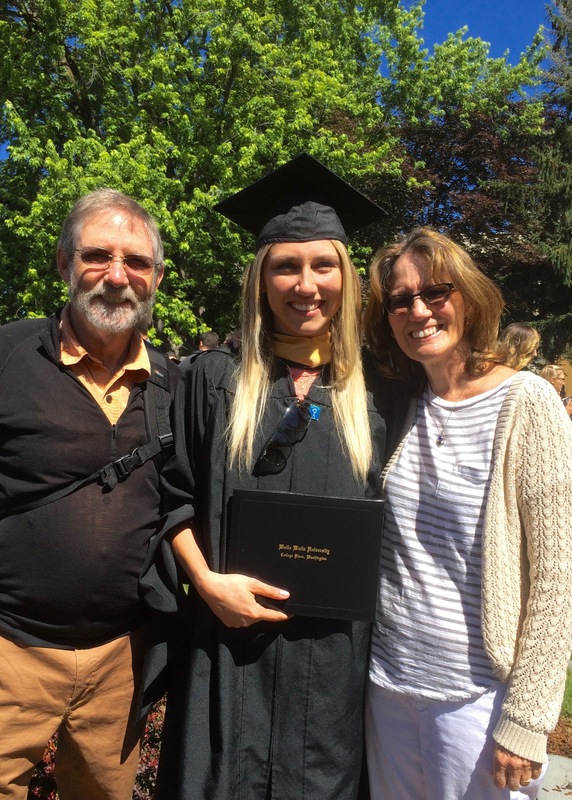 Joni brings her experience as a classroom teacher and this is being recognized by the teachers as she creates lessons that are focused and based on her observations of the student’s competence. She has some tricks and methods that she models for the teachers and shares with me. I expect her ideas and influence will live long past her time here. I have limited experience with teaching English or curriculum. I believe my strength is in engaging with and building relationships with the teachers and children, playing, and understanding their needs. My skill in writing and speaking, spelling and grammar are also a bonus – though the “rules of grammar” evade me at times. Mostly, I try to learn from Joni and the teachers I work with. Our time outside the classroom is just as important as our time in the classroom as we play games, chat and joke with the girls. When we first came it was difficult to get the girls to look at us. Most of them would cover their face or mouth with their robes when they addressed us and would seldom look us in the eyes. Now they greet us as we come and go, calling us by name (“David Sir”, “Miss Joni”). They say, “Good morning”, “How are you”, “Sweet dreams”, “See you tomorrow”, etc. When Joni left to go back home to visit her mom last Friday, some stood on the wall waving her goodbye. We are becoming part of the big family. 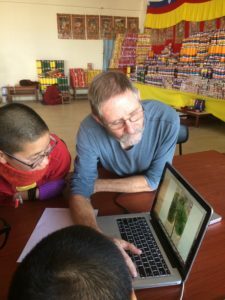 While our relationship with the young women of the Trasang and Shedra has developed more slowly, we often get evening room visits from them now; to request help in editing their English writing. This began when the class 5, 6, 7 and 7A students began bringing penpal letters to edit. What started as a trickle, a single student knocking at our door in the evening, has become a flood. Some evenings we have 5 or 6 girls standing in line for feedback. I have to admit that I sometimes cringe at the late night work. But when I see their commitment and willingness to take feedback and their devotion to learning, my resistance fades. I want to do all I can while I can. 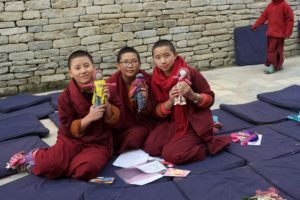 The Trasang nuns are writing stories about life here in the Gompa, their decision to come here and their hopes for the future. The idea for writing started in a photography class that I’ve been running with them. The school teacher that I collaborate with agreed that we could capitalize on our photography lessons by mixing writing and photography. 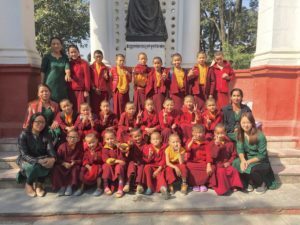 The hope is that they will maintain a regular newsletter for the school, with stories of the children in the school and activities in and around the school. 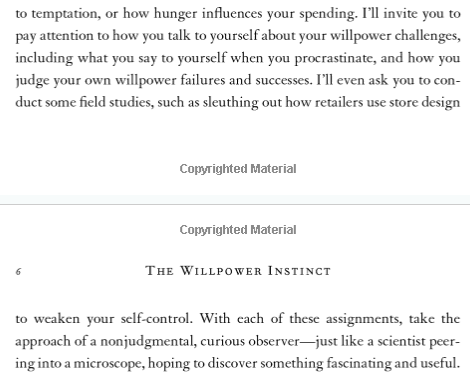 Writing about themselves to begin the process seems like a good place to begin. All of the nuns, young and old, have incredible skills in concentration and memory. I’m not sure how this has evolved exactly but it is reflected in the youngest students who spell and say words with great speed (I ask them to slow down sometimes). 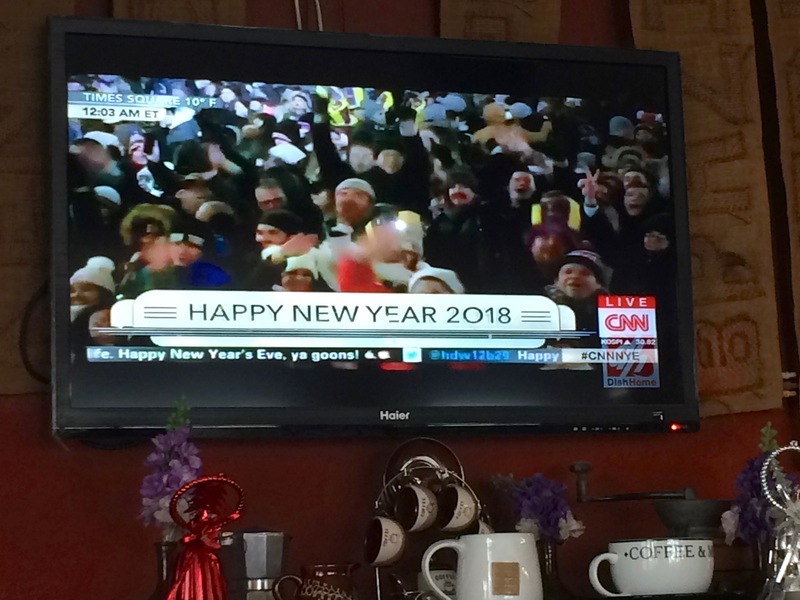 As we have spent time with them we’ve realized that the ability to spell and say words is very different than understanding the words or linking a string of words into a sentence. Consequently, we have made it our mission to teach in sentences and question them on the meaning of words. It has been a wonderful learning experience for all of us. Rather than send you a Christmas card in the mail this year, challenging for me even when I’m home in Colorado, I am sending a “card” via my blog. I hope you enjoy it. This year has been full of changes and firsts for Joni and I as well as for Hannah and Megan. We are fortunate in that, though change has it’s challenges, these changes have been welcomed and invited. As Joni and I were making plans to come to Nepal (in 2016), we got the news that Megan and Adam were going to get married. We were very happy to hear this as we like Adam very much but we were concerned that the date might not work with our August departure. We didn’t have to wait long before Megan announced June for the wedding and we began calculating how we would weave the wedding and connections with other friends and family into our journey. 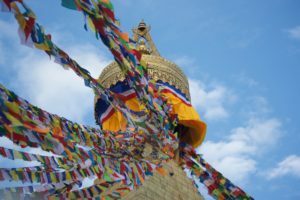 With the inspiration for travel in the air, we sat down with our calendar and charted the months remaining before our August departure for Nepal. 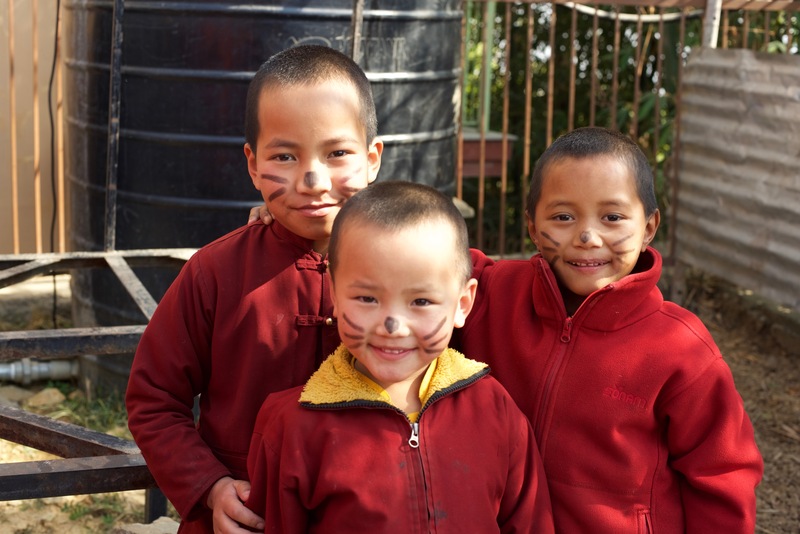 The idea of going to Nepal and being gone for many months made us more aware of the people we were leaving behind. We knew we would return, but we would be leaving our familiar orbit and loved ones. With that thought, we wanted to take time to see as many family and friends as we could. Looking toward spring, we decided that a trip to the Utah desert was a must. 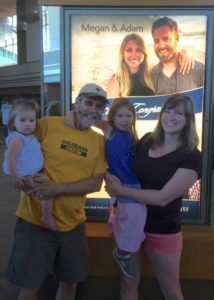 Fortunately we were able to arrange a trip with our friends Paula and Frank and their daughter, Savannah, husband Brandon and 4 year old daughter Avi. 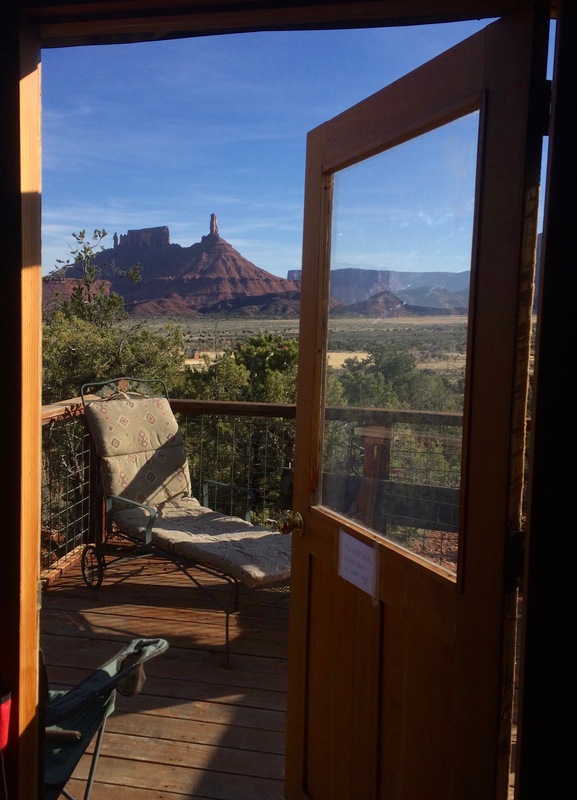 We always enjoy staying at their friends Yurt in Castle Valley where we can enjoy their company along with a few conveniences. Being with Brandon, Savannah and Avi is like being with our own kids and grandchildren. Another big bonus is enjoying the serenade of Frank’s guitar and vocals. I tested a new microphone on my camera and took the opportunity to record Frank playing in one of the Canyons (see YouTube below). Soon after our March trip to the desert we were off to Sparta, Wisconsin to see our friends, Andrea Hansen and Curtis Miller. They were in the middle planning a May wedding for their daughter Chloe. We’ve know them since our days in Wyoming when we were newly weds. 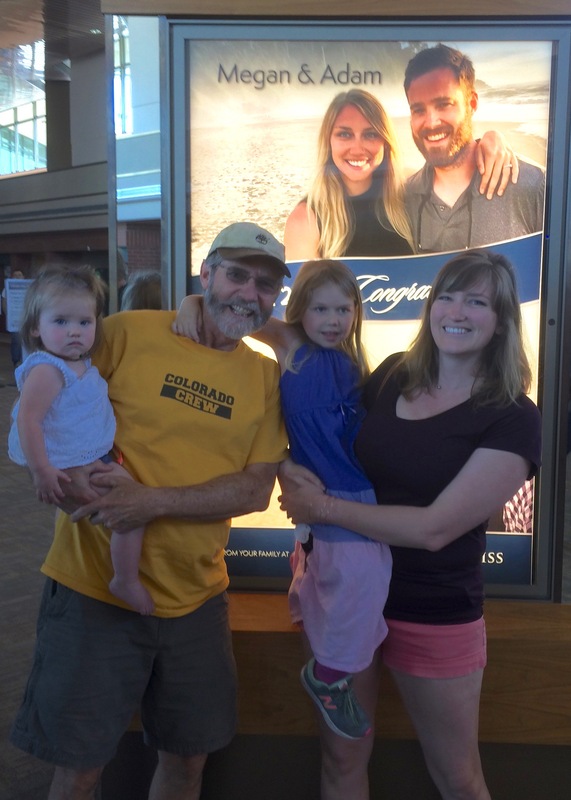 As our soul-mates in Rawlins, Wyoming, they were the first friends to hold our new baby Hannah. Curtis also performed Hannah’s wedding ceremony in 2010. Since we knew we couldn’t make Chloe’s wedding in May, so close to Megan’s wedding, we decided to visit them in April. We enjoyed our time catching up on life’s news as we toured around Sparta and the surrounding area. It was fun to see their house, visit Andrea’s mother and meet some of their friends in and around Sparta. We even had an evening of music in a colorful little tavern in the area. Spring passed quickly as we worked on the house, recycled, sold and donated as many of our possessions as was practical. 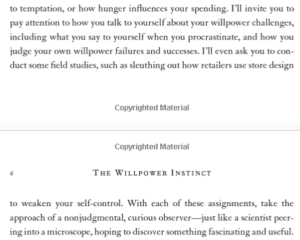 Once I got started, I became enthusiastic about discarding things. In the normal course of living, things build up and gets stuffed away. The “stuff” is layered and diverse; from old files and photos, electronics, furniture, kitchenware, knick-knacks, magazines, and on and on. We think, “Oh, I may need that.” or “This brings such wonderful memories”. While all this might be true, we probably will just continue to keep it in a box never to be seen or appreciated. I recommend purging your possessions if you are so inclined. The funny thing is that, in the process, you find things that you thought were lost and are really are worth keeping. June, the wedding month, came very quickly as we were still busy with our jobs while putting the house in order. On our way to Walla Walla, Washington (where Megan and Adam live) we stopped halfway, in Salt Lake City. Once again we got to see Savannah, Brandon and Avi briefly. They graciously gave us a place to rest our heads for the night. It just so happened that before the wedding we had the opportunity to see Megan graduate with her Master’s degree in Social Work. This was also an opportunity to spend time with Adam’s parents and discuss wedding plans before all the people arrived. The wedding was wonderful (of course); with all the emotion, activity, confusion and beauty you’d expect. While the wedding was a do-it-yourself affair, it was very elegant though down to earth. The ceremony was held at Tranche Winery, among the fields of grapes. Megan and Adam worked tirelessly on the details and invested the help of family and friends as they arrived. This made it an opportunity for families to get to know each other while working side by side. Joni found a house where most of our family could stay together and enjoy more time. It was a joy to see my brother Rob and Joni’s sisters under one roof. With the wedding complete, Joni and I returned to Glenwood Springs to finish the house details. Our goal was to get some things stored, clean the house and turn the house over to our friends, Ben and Namrata by July 22nd. With 3 weeks left this seemed realistic. This schedule would allowed us to drive to Missouri to see my Mom, drive to Mississippi to see Hannah, Kyle, Lilly and Charlie, return to Missouri, and finally fly out of St. Louis for parts east on August 16th. The good news is that all of this worked as planned. Even better, my mom agreed to travel with us to Mississippi so she could see Hannah’s new house and bask in the glow of her great-grandchildren. 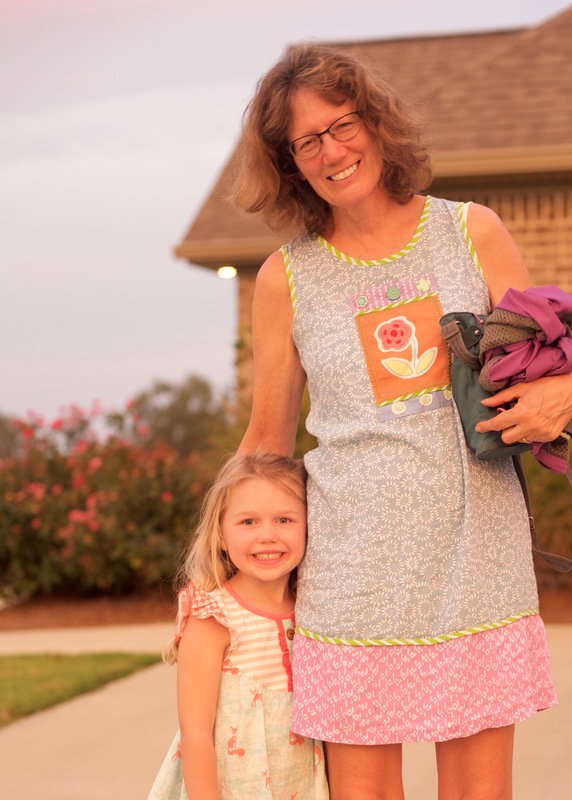 That’s right, while we were busy preparing to leave, Hannah and family made the leap from Lafayette, Louisiana to Starkville, Mississippi. As we got news of the wedding and plotted our travels, we got news that Hannah and Kyle were taking jobs in the Starkville area and would be buying a new house. 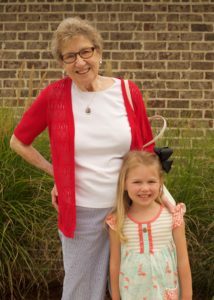 As the Matron of Honor in the wedding, Hannah was determined to get it all done and make it to the wedding on time. With her usual determination she continued her “move” in the midst of the wedding festivities, working on the closing of her home loan. By the time Joni and I got to Mississippi in August, they had moved in and (short of a few boxes) made it HOME. 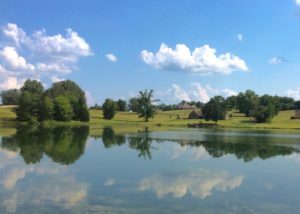 Our visit to Missouri and Mississippi were an opportunity to decompress from all the packing, moving and travel planning. Nice to have some distance from the gravity of all our attachments and work in Colorado. With this distance it became evident that we were actually leaving the country. 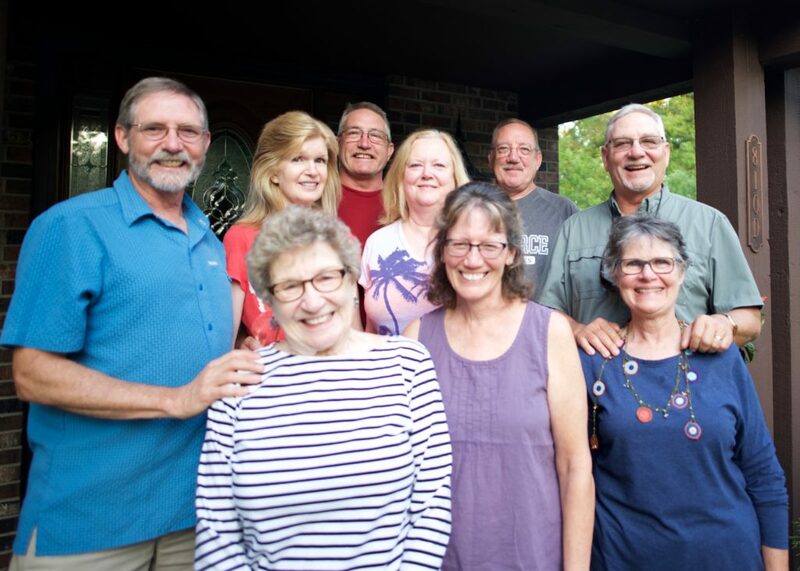 While in Missouri, we enjoyed visiting my brothers and sisters-in-law and a few of my nephews and nieces. In Mississippi we got to explore brand new territory; Hannah’s neighborhood (and the beautiful lake), Mississippi State University, Hannah’s workplace, and of course the shops and restaurants. Best of all I enjoyed watching my family together – Mom and Joni hanging out with the kids and the adults catching up with each others lives. So, there you have it. Most of the story of 2017. Joni and I are truly blessed to have our health and the resources to travel and spend time with the great people in our life. We hope that you and your family members are also healthy and blessed with similar gifts. In our day to day routines, under the barrage of news and information that has become common, it is easy to forget our blessings. I pray that you can enjoy the energy and beauty of this life and that your joy showers your friends, family, strangers, and even your “enemies”. It is time that we push back the negativity of selfish individuals and agendas. Merry Christmas, Happy Hanukkah, Happy New Year! 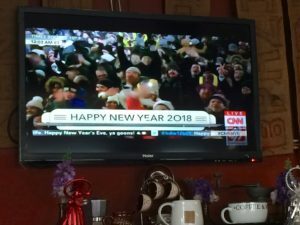 If you’re interested, here are more pictures of events for the year 2017.